THIS IS IT!! BAND NEW!! 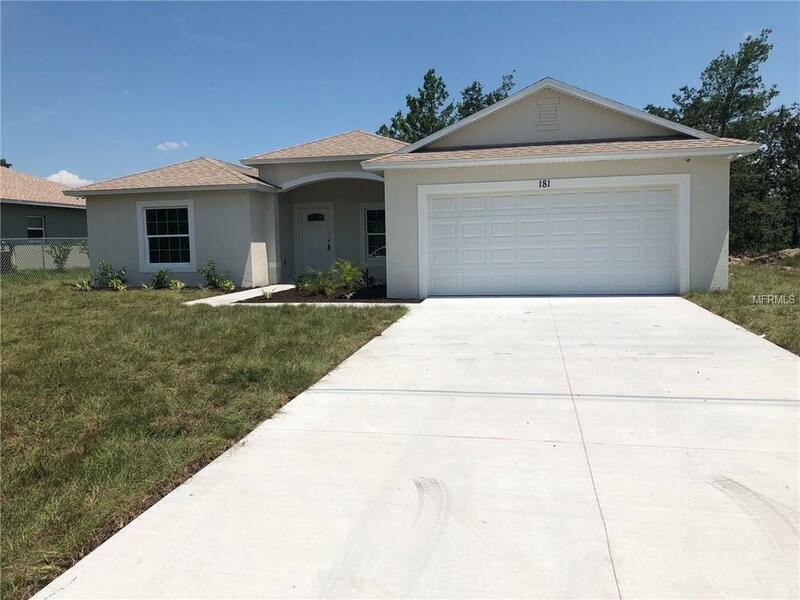 Situated in a great and desirable Poinciana. SHOPPING and RESTAURANTS are just MINUTES away. LOW HOA!! The home feels spacious and the FLOOR PLAN square footage has been MAXIMIZED to the fullest. As you pull up to your NEW home and see a magnificent one story 4 br 2 bath, and 2 car garage, OVER 1700 square foot! MASTER SUITE INCLUDES walk-in closet, separate vanity, LARGE SHOWER. You will start to see your dreams become a reality. Boasting Upgrade 42 kitchen cabinets and GRANITE counter tops. Nice living area and dining room. Family and formal living room. The huge backyard will give year-round ENJOYMENT. Perfect for BBQs or just relaxing on your nice Backyard. This is a UNIQUE opportunity. This is the house you have been searching. This house is waiting for you READY to MOVE IN!!. Call today for an appointment!